15 is what % of 60? 10 is 50% of what number? Which number is compatible with 240? Which congruency statement is written correctly? 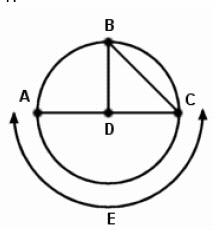 Which of the following is a diameter of the circle? 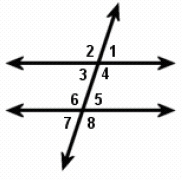 Which pair of angles is supplementary? 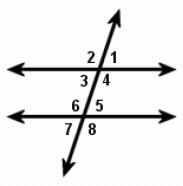 Which pair of angles are vertical angles? Which of the following has a rectangular base and four triangular faces? Which type of polygon has exactly one pair of opposite sides parallel?